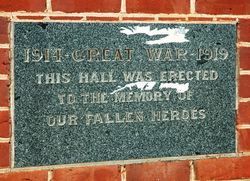 The hall was erected to commemorate those who died in service or were killed in action in World War One. Ensay residents are determined to pay an everlasting tribute to the brave lads who fell in the late war; and on Saturday evening, May 1, an enthusiastic meeting was held to decide on the size of a proposed Memorial Hall to perpetuate that object. There was a very large attendance, standing room being scarcely available. Cr John Rickards, J.P., was voted to the chair. 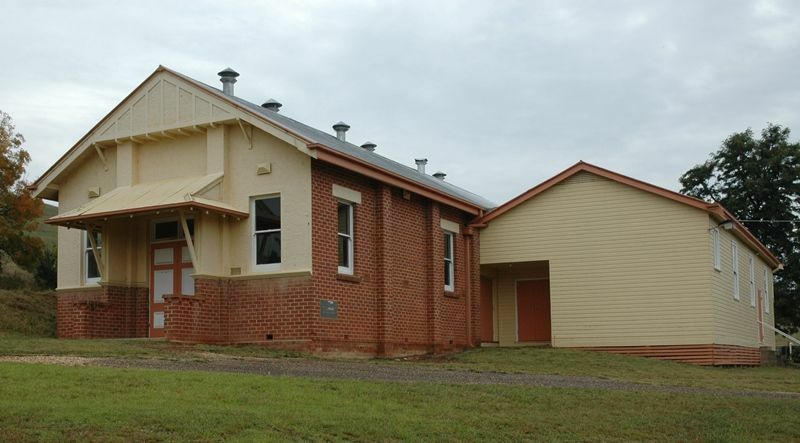 The question of finance was dealt with, and finally it was decided to build a hall at a cost of £1,200-- a brick building. The size of the hall appeared to be a vexed question ; and it was discussed for over an hour. Finally, it was decided to make the building 50ft x 25ft. The voting being 27 for the smaller size and 22 for the larger one. Mr G. Rickards was elected secretary, and a committee was also chosen to carry out the necessary arrangements for the erection of the building. Tenders have already been called for 100,000 bricks to be made and burnt within a mile of the Ensay township. Evidently, the residents mean business. Maffra Spectator (Vic), 13 May 1920.